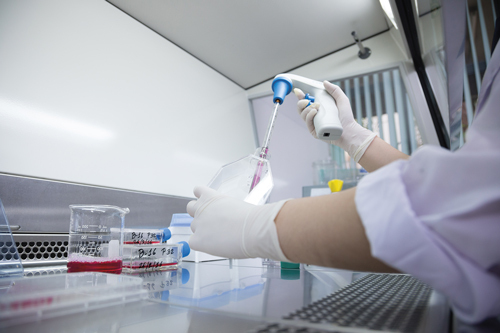 The evolution of laboratory practices is driving new workflows and opportunities for research. Combining modern laboratory informatics infrastructure with genomic data that is properly collected and catalogued can enable laboratories to engage in precision medicine. The concept of precision medicine and personalised medicine have been around for some time but it is the convergence of cheap genetic screening and the availability of modern LIMS infrastructure which enables data to be properly collected, stored and shared is opening up opportunities for precision medicine projects that were not possible previously. Precision medicine refers to the tailoring of medical treatment to the individual characteristics of each patient. It does not mean the creation of drugs or medical devices that are unique to a patient, but rather the ability to classify individuals into subpopulations that differ in their susceptibility to a particular disease, in the biology or prognosis of those diseases they may develop, or in their response to a specific treatment. The concept of personalised or precision medicine is not new but has required computational and data resources to match the requirements of such projects. It is necessary to build up large databases of genomic data that can then be used to develop an understanding of how specific treatments might be used to fight disease. Four years ago Dr Margaret Hamburg, Commissioner of Food and Drugs for the FDA, noted that ‘In just the last two years, the FDA approved four cancer drugs for use in patients whose tumours have specific genetic characteristics that are identified by a companion diagnostic test. Last year, FDA approved a new therapy for use in certain cystic fibrosis patients with a specific genetic mutation. Earlier this year, three-dimensional printing was used to create a biodegradable tracheal splint for treating a critically-ill infant,’ stated Hamburg. ‘Clinicians have long observed that patients with similar symptoms may have different illnesses, with different causes; and similarly, that medical interventions may work well in some patients with a disease but not in others with apparently the same disease. What is new is that advances in a wide range of fields from genomics to medical imaging to regenerative medicine, along with increased computational power and the advent of mobile and wireless capability and other technologies, are allowing patients to be treated and monitored more precisely and effectively, and in ways that better meet their individual needs,’ added Hamburg. While precision medicine has been slowly gathering pace, the development of this paradigm was accelerated by the US government by President Barak Obama, who announced the Precision Medicine Initiative in his 2015 State of the Union address. During the address, President Obama announced that he was launching the initiative with a $215 million investment from the President’s 2016 Budget. The Initiative is a research programme set up to drive the development of precision medicine projects involving the National Institutes of Health (NIH) and multiple other research centres. The Precision Medicine Initiative has both short-term and long-term goals. The short-term goals involve expanding precision medicine in the area of cancer research. Researchers at the National Cancer Institute (NCI) hope to use an increased knowledge of the genetics and biology of cancer to find new, more effective treatments for various forms of this disease. The long-term goals of the initiative focus on bringing precision medicine to all areas of health and healthcare on a large scale. To accomplish this goal the NIH launched a study – known as the All of Us Research Program – which plans to profile genetic data of at least one million volunteers from around the United States. Participants will provide genetic data, biological samples, and other information about their health. To encourage open data sharing, participants will be able to access their health information, as well as research that uses their data during the study. Researchers will use these data to study a large range of diseases, with the goals of better predicting disease risk, understanding how diseases occur and finding improved diagnosis and treatment strategies. As interest in precision medicine grows, informatics companies are beginning to develop or adapt laboratory informatics software so that it can be used to gather, store and analyse data for precision medicine projects. Core Informatics and PerkinElmer have both developed solutions specifically for the collection and processing of genomic or next generation sequencing (NGS) data and these systems can be leveraged by users that want to start developing precision medicine research. 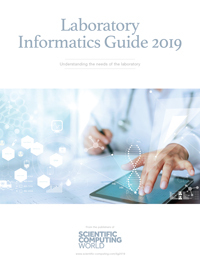 As with other areas of laboratory informatics, choosing the right LIMS can keep your lab running smoothly but selecting technology that is not up to the job can reduce the efficiency of the laboratory staff. Core is relying on the flexibility of its LIMS to add the ability to add new tests, reagents and instruments. Core also points out that if labs decide to transition to diagnostics from research, the LIMS would need to adapt there too, by supporting validation or other procedures. Core is now offering NGS researchers its platform as a service (PaaS), which offers an app based marketplace with several apps aimed at genomics workflows. The genomics solution is comprised of modular applications available in the marketplace. The applications can be put together, without any custom code, in an order which fits the workflow in your lab. The idea here is that the Platform for Science can be tailored and adapted to the way the lab works. Allowing users to capture and track NGS data easily and accurately. Chrisanne Wnek, genomics application specialist at Core Informatics: stated in a blog post for the firm: ‘Personalised medicine relies heavily on the use of genetic biomarkers. Genetic biomarkers can be used to indicate a disease state or a normal biological state, and they can be measured accurately and the results can be reproduced. ‘There are many labs that perform this type of genetic testing. Most of the labs developed tests found in a CLIA lab are used for some form of personalised medicine. There are tests that can detect genetic variants associated with a single nucleotide base change, these are called SNPs (Single Nucleotide Polymorphism). Some tests are detecting a single gene associated with disease and others look for multiple genes associated with a disease,’ stated Wnek. ‘So, how do we find these genes associated with disease? Gene sequencing. Gene sequencing from traditional Sanger or Next Generation Sequencing (NGS) methods gives us the ability to uncover the SNPs, the single genes, and the multiple genes associated with disease and can put researchers on the right track to finding a therapeutic to treat it,’ Wnek concluded. PerkinElmer has also developed a platform for precision medicine workflows called ‘Signals for Translational’. PerkinElmer released a white paper earlier this year that detailed the cost effectiveness of this system, when compared to other frameworks for precision medicine. The white paper notes that while the goal of translational is to develop the right treatment, for the right patient, at the right time, the reality of supporting these processes, in practice, requires significant effort. Precision medicine or translational research requires software that can integrate, access, analyse, and visualise wide and disparate datasets, within and across firewalls, to bring new scientific discoveries to patients as quickly as possible. ‘By hosting data in the cloud and provisioning access for the scientists, PerkinElmer’s Signals for Translational addresses these requirements at a significantly reduced cost compared to the tranSMART platform and custom built-for-purpose solutions, states the white paper. PerkinElmer claims that using their system is less than half the cost of a custom deployment and a third of tranSMART installation cost. There are several areas where these savings are made, including licensing software, purchasing hardware and web services and loading and managing data within the system. PerkinElmer state that their software reduces overall costs by significantly speeding up the time to load data – it is approximately half that of tranSMART. As laboratories adapt to make use of precision medicine technology, it is likely that the number of software solutions will continue to increase, but as data is central to the ability to efficiently conduct research using precision medicine, it is likely that these cost factors will become increasingly important. As noted earlier, there are already plans to create cohorts of more than 1,000,000 patients. Being able to access and search through all of this genomic data will require informatics infrastructure that has been specially designed for use in precision medicine.